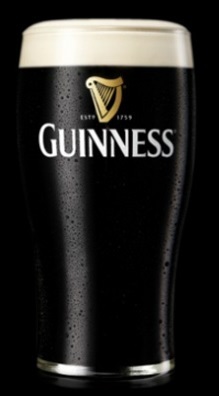 Arthur Guinness beer started brewing in 1759. On December 31, he signed a 9000-year lease at St. James's Gate brewery at £45 per annum. This lease is now at the Guinness Museum, embedded in the floor. The Guinness family has, ever since, been brewing brown beer (porter) within bodied dark beer (stout). The Guinness recipe consists of four components: barley, hops, yeast and water. The roasted barley gives the beer a dark color and distinctive flavor. Guinness is on tap and in cans and, through nitrogen and carbon dioxide, the small bubbles forming the signature cascade are created. These small bubbles result in a creamy froth on the beer.